Second part of our journey in the new Swap Curve construction framework. In the middle of the crisis we have seen a crucial change in the Euribor curve. On the 15th of September 2008 (the day Lehman Brothers collapsed) we have seen the 1M vs. 3M 5Y Basis Swap spread peaked at 23 basis points (This represents the difference between two fixed to float Swaps, the first one versus 1M Euribor and the second one vs. 3M Euribor). The Basis Swap indicates the intrinsic risk lying in exchanging the 1M Euribor vs. the 3M Euribor, in other words the market priced the highest risk premium at that time. This effect has been observed on other Basis Swap spreads (e.g. the EUR 1M vs. 6M 5Y Basis peaked at 31.9 on the 20th of November). The consequence is that we have seen a fragmentation of the Euribor curve, the longest tenors were priced with an important risk premium that could no longer be neglected when building the ZC Swap-Derived curve and then pricing the Interest-Rates derivatives. 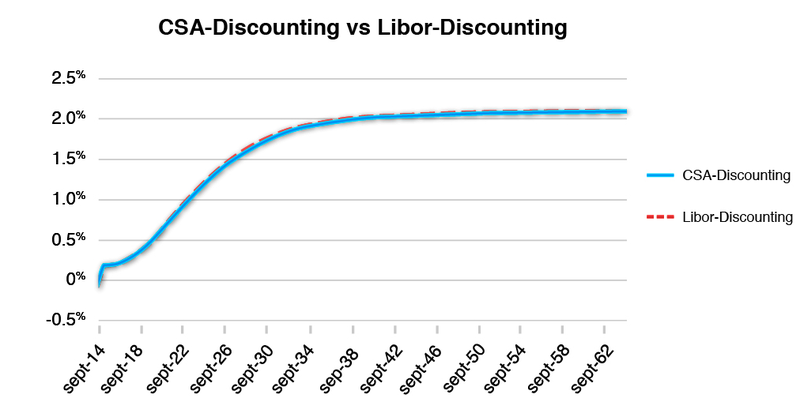 The main effect of the Libor fragmentation is that we will have a set of ZC Curves based on a single Libor tenor. We will use all instruments available to build the curve according to a given tenor. For example, the 1Y Euribor ZC Curve did not really exist before the crisis and we do not have Swaps vs. 1Y Euribor quoted on the market. However, we do have Basis Swap Spreads 6M vs. 1Y and we will use these instruments to derive the 1Y Euribor curve from the 6M Curve. The very existence and the significant widening of these spreads imply that we can no longer ignore the construction of the 1Y Curve or use a 6M proxy to build it. By convention the spread will be on the most frequent tenor (here 6M). In principle, we do not add directly the spread to the Swap Par Rate since Euro Swaps are quoted on a Fixed Rate Annual Basis. However, some market practitioners often use this proxy and do not take the basis swap spread frequency into account (i.e. 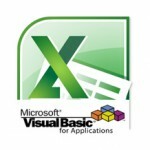 is directly used instead of the rebased Spread). Typically, we would have built the ZC Curve on the left side of the equation according to the stripping methodology that we have described earlier on (here the 6M ZC Curve). Moreover, as the Discount Factor is generally derived from Overnight and Tom-Next Euro deposits we have an equation with one unknown variable. Eventually, we can derive the 1Y Discount Factor at any date according to the previous inputs. With the Libor fragmentation we can see how the market lifted to the first stage of the Popperian movement, that is to say, to take the liquidity bias into account and to integrate it into the risk premium. The Libor fragmentation addressed one issue that arose from the crisis that is the liquidity risk encompassed in each Libor tenor, however it does not deal with the counterparty risk that can occur when setting up a swap with a given counterparty. The counterparty risk can be described as the risk that either one of the two counterparties can suffer from a default and cannot fulfill his obligations. The latter will be defined as the swap Mark to Market as the time passes. For example if BNP Paribas were to enter into a 10Y Annual vs. 6M Euribor Swap for 100M with CA CIB as of 23th of October 2012, say the Par Rate is around 1.84% (in other words BNP is paying a 1.84% fixed rate and receives the 6M Euribor). 1 year after (as of 23rd of October 2013), we assume the Swap MtM is -1M. This means that 1Y after, BNP has to pay this amount to CA CIB and that if BNP was to default in between, CA CIB will not be paid back. So how can CA CIB be hedged against a BNP default? They can use a Credit Support Annex at trade’s inception (also known as the CSA to the ISDA Master Agreement); the counterparty risk would be mitigated thanks to margining process (we will detail this further right below). They can trade throughout a Central Counterparty Clearing House (CCP); the counterparty risk would be borne by the Clearing House. They can calculate a Credit Valuation Adjustment (CVA) and charge it to their respective counterparty. It is worth noting that these three options tend to be increasingly demanded by the regulators. It could be as a result of Dodd-Frank rules in the US or EMIR regulations in the European Union, but there is a global move towards standardization of valuations and counterparty risk mitigation. We will discuss the first option (the use of Credit Support Annex) since it will impact directly the way we are building the curves. Let’s go back to our previous example where CA CIB wanted to hedge against a default of BNP as the swap MtM was in favor of CA CIB 1 year after the swap inception. In case BNP and CA CIB have agreed to use a CSA, they have to respect some clauses regarding the type of collateral (it could be cash, Bonds etc), the margining process, there could be a lot of combinations. However the principle remains the same, if the MtM goes in one way or the other one counterparty will have to fund this amount by posting a certain amount of collateral so that in case it defaults, its counterparty will get his money back. Therefore it eliminates in theory any counterparty risk. In our example, 1 year after BNP would have to pay a given amount to CA CIB as part of the margining process. This is a simple example to illustrate how the use of a CSA could mitigate if not offset the counterparty risk; however as usual there are some real-life complications. Zero threshold (MtM should be funded whenever the MtM goes one way or another) and no Minimum Transfer Amount (MTA). The main objective is to provide a generic and universal framework to price derivatives and to avoid the different biases that could exist in the “legacy” CSA – for example in the case of non-cash collateral, is the collateral eligible if it is a Bond? This implies that valuations will tend to be standardized and that using a SCSA should be as close as possible as dealing with a CCP’s. However, the main consequence is that it will change the way we build the curve. Indeed, the main hypothesis that we had with Libor-discounting is that our swaps were funded with Libor rates. 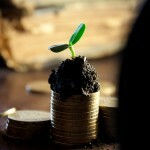 This is no longer the case since it is required to fund the margining process with an overnight rate. As a result, our instruments should no longer be discounted with a Libor-based curve but with a OIS curve (a ZC Curve that would be derived from Overnight Index Swap instruments). This could seriously complicate the pricing framework since the collateral currency would not be necessarily in the Swap Currency (for example a CHF Cap is likely to be funded at Eonia, so with a EUR Collateral). We will have a look at the impact of the way we are building ZC Curves. The would typically be interpolated over the OIS ZC Curve – it is worth noting that such curve has to be calculated beforehand and that it would be the first building block of the whole set of curves. 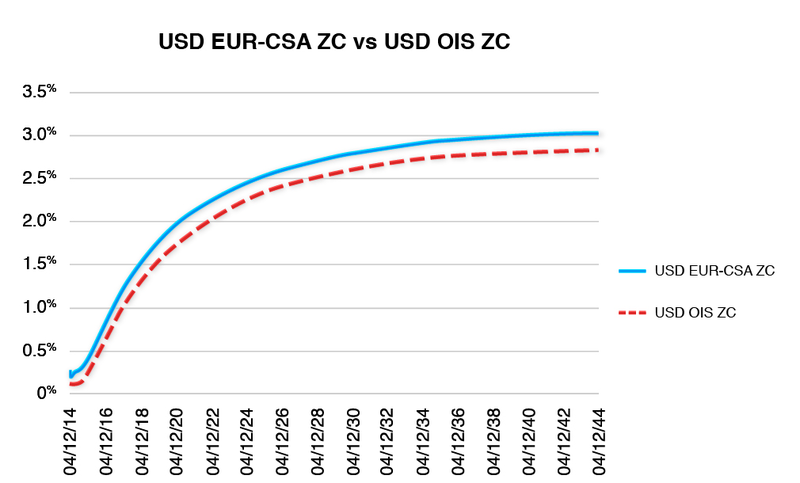 The will be interpolated over the forward curve, however the latter could no longer be the same Euribor-derived ZC Curve as it needs to be consistent with the new swap valuation. In other words, we will need to solve a vector of Discount Factors that would re-price every market instrument. Eventually this vector will represent our CSA-Discounting Forward Curve. In order to get the vector of Discount Factors, we can use a multidimensional solver such as Newton-Raphson. The construction of the first CSA-Discounting Forward is the second building block of the multiple curve framework and the first branch of the dependency scheme. By using the same methodology as in the Tenor-based pricing we can easily add a second building block by building a ZC Curve that will depend on the first CSA-Discounting Forward Curve and tenor-related instruments. For example on EUR, at first we will build the EUR OIS Discount curve with Eonia fixing and Overnight Index Swaps over Eonia from 1W Maturity up to 50Y. 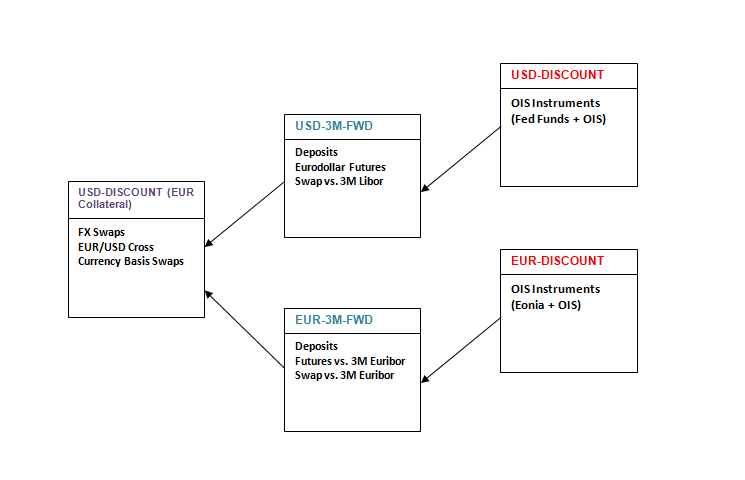 Then we will build the 6M Euribor CSA-Discounting Curve thanks to Deposits, FRA over 6M Euribor and Swaps vs. 6M Euribor, instruments will typically range from Overnight Deposit to 50Y Swap. We can see that the Libor-Discounting ZC and the CSA-Discounting ZC are closely linked to each other. 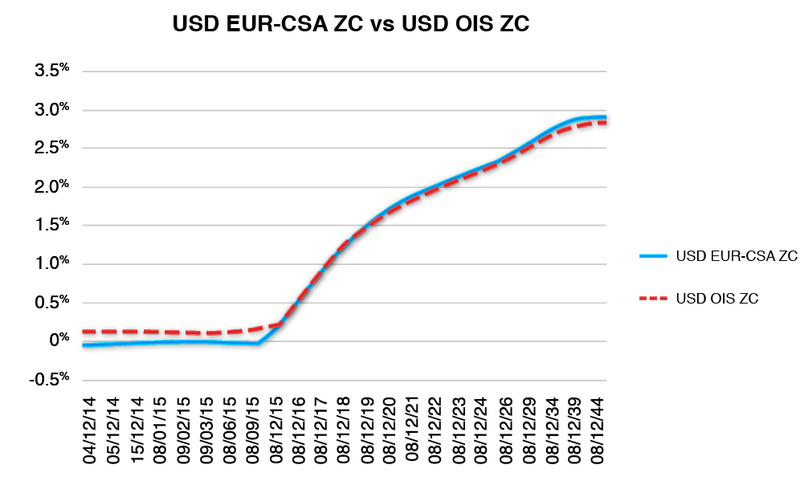 But we can notice that the CSA-Discounting curve is trading at a slight premium – ZC Rates are a little bit lower and thus DF higher which is increasing the NPV, however the basis has been significantly higher when spreads widened. So far we focused our analysis on the case where the Swap currency is the same of the collateral currency. However, there is a significant amount of contracts that exhibits collateral in a second currency. Indeed, an increasing number of market participants are now considering a USD swap with EUR collateral (EUR CSA) as a very standard product. In order to provide such kind of flexibility in the way we price swaps, we need to account for the cross-currency effect when building the curve. This means that we would start with two rate surfaces, one for the swap currency and the other for the collateral currency, and a FX Curve that would be used to “shift” the collateral from one currency to another. As a starting point we need to assume that each rate surface is using the domestic collateral – i.e. USD instruments are collateralized in USD and the same applies for EUR. 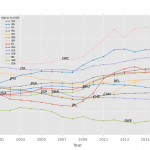 We also need to assume that the Cross Currency instruments (i.e. 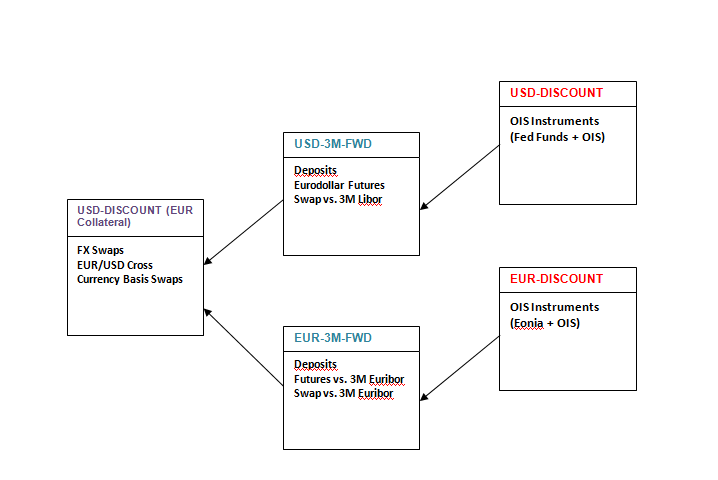 Cross Currency Basis Swaps) are collateralized in the same currency as the deal currency (i.e. in our case we assume that EUR/USD Cross Currency Basis Swaps are collateralized in EUR). 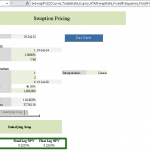 The NPV of a Cross-Currency Basis Swap can be written as follows. On the left side of the equation we have the reference currency; we assume the notional to be 1 for simplicity so we only display the Discount Factors are Spot and Maturity Date that account for the notional exchange (resp. and ). The Basis Swap Spread is added to each Forward rate. On the right side of the equation we have the flat currency, the Cash Flows are converted into the Reference currency at each date thanks to Fx Forwards (these Fx Forwards are likely to be derived from the Cross Currency Basis Swaps Spreads quoted on the market). is assumed to be constant and equal to the EUR/USD Spot rate. 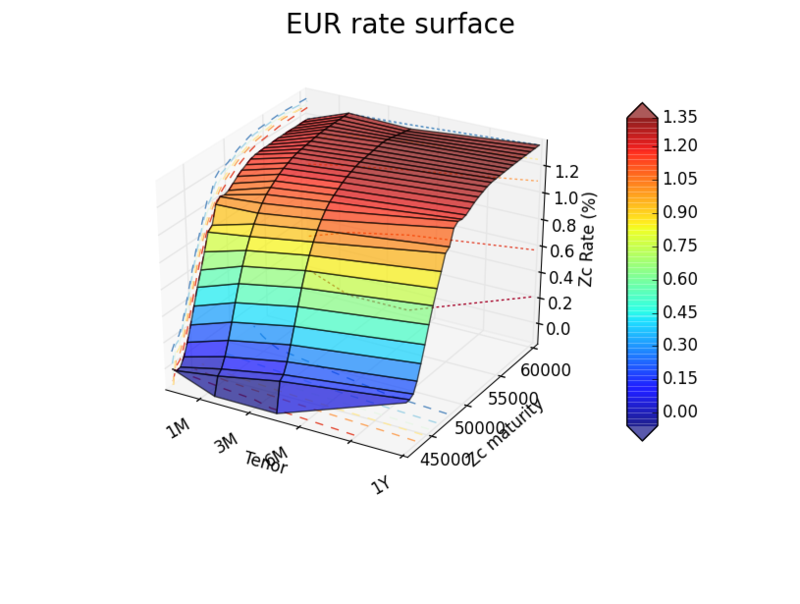 , is interpolated over the EUR OIS Curve, , is interpolated over the 3M slice of the EUR Rate Surface, the is taken from the market and is interpolated over the 3M slice of the USD Rate Surface. It is worth mentioning that the solving process will be only applied to the CBS instruments and not to the short-end of the curve (that is usually built with FX Swaps). The Discount Factors on the short-end will be simply switched to the other currency by using FX Forwards rates and DFs from the collateral currency (this could involve a pivot currency such as USD in the case where the direct quotations are not available). As a conclusion we can stress out the fact that the market has come and evolved towards a new paradigm, following a Popperian scheme. The new framework is now much more complex but it aims at filling the gaps that appeared with the extreme market conditions and the new risks that arose. Frequent margining may not be enough to completely offset counterparty risk. In case the default occurs overnight, it would be useless. In case of impossibility of re-hypothecation (investment of received collateral), using a SCSA could be really costly as it needs to be funded by the receiver. In case of re-hypothecation, the collateral provider can lose the MtM and the collateral if the counterparty has reinvested the collateral before collapsing. Frequent and massive margining can result in a collateral shortage. Encompassing every single shortcoming would eventually result in a tremendously more complex framework. However, as the market is generally looking for simplicity the OIS-Discounting framework (that corresponds to SCSA) remains the reference for Interest Rates Derivatives. In a forthcoming study, we will dwell on the pricing of Forward Starting Interest Rates Swaps (FSIRS) and the comparison between the Tenor-Based and the CSA-Discounting methods. We will run tests against the full set of available FSIRS quoted on Tradeweb platform and check how good is the CSA-Discounting versus the Tenor-based framework and Market Quotes. Are you missing the par swap rate “R” variable on the LHS of equation (3)? Yes indeed this was a typo mistake, my bad I have just corrected it. Thanks a lot for letting me know, it is always worth having people who improves the content of the articles.